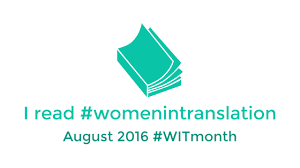 Dubravka Ugresic’s Baba Yaga Laid an Egg is part of Cannongate’s Myths series, where they asked contemporary writers to offer their version of an ancient story. The series began in 2006 and (I think) ended in 2014, featuring a stellar cast of international writers including Margaret Atwood, Jeanette Winterson, Ali Smith, Victor Pelevin, David Grossman…and Dubravka Ugresic. Ugresic’s take on the legend of Baba Yaga is typically idiosyncratic, divided into three discreet sections, each a completely different genre of writing – the first autobiographical, the second fiction, and the third academic – all exploring women in old age. The analysis is exhaustive, to say the least – as Aba says herself, “I’m sure you won’t mind admitting that there was too much of everything. In fact, you were afraid at one point that I would never stop.” While such awareness of the reader’s reaction is amusing, I did find the final section trying – and, in fact, preferred the autobiographical opening to the story of Pupa, Beba and Kolka. This had the effect deteriorating enjoyment, though, of course, all the sections coexist as parts of a whole, and Ugresic is such a wonderful, witty writer that even when she is imitating dullness there is still pleasure to be had. 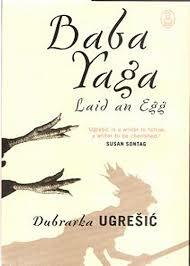 Ugresic cleverly uses the myth of Baba Yaga as the starting point for a meditation of old age in women in a book that is funny, insightful, and, at times, moving. You are currently browsing the archives for the Dubravka Ugresic category.